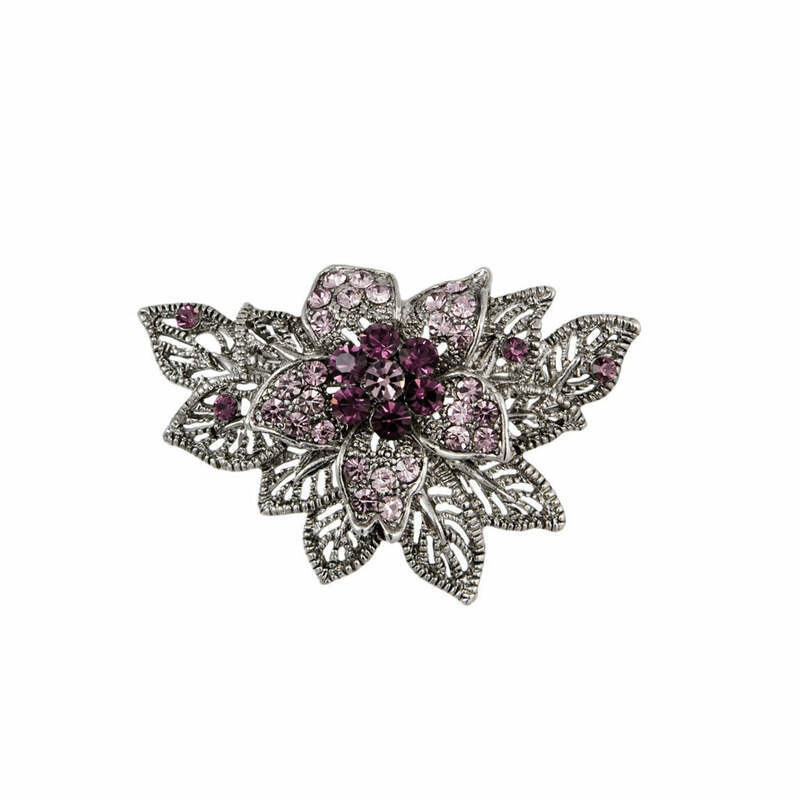 Reminiscent of a vintage heirloom this pretty flower brooch is ornate and beautiful. If you remember admiring the vintage brooches in Grandma's jewellery box, you'll fall in love with this antique inspired design. Featuring ornate layered aged silver tone leaves with a centre flower adorned with lilac and deep purple Austrian crystals, this beautifully brings simple sweater, tailored suit or glamorous gown to life. Inspired by vintage jewellery from the 1940's era, this would also look fabulous pinned on the sash of a bridesmaids dress to emphasise a lilac or purple theme or as a gift for mother of the bride. Also, a sentimental keepsake for a very special Grandmother.